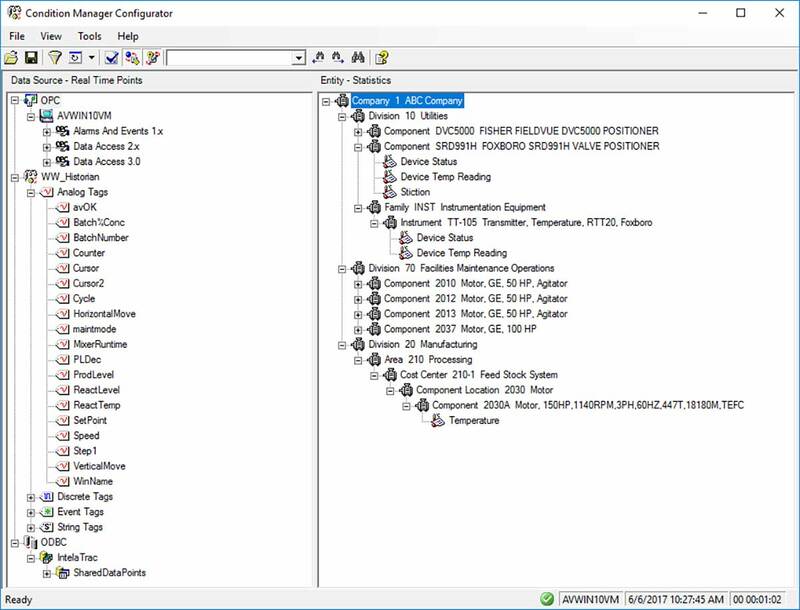 Collect and analyze real-time diagnostics from all plant production assets, driving appropriate actions to improve overall asset performance and manage the corresponding operations, engineering and maintenance activities. 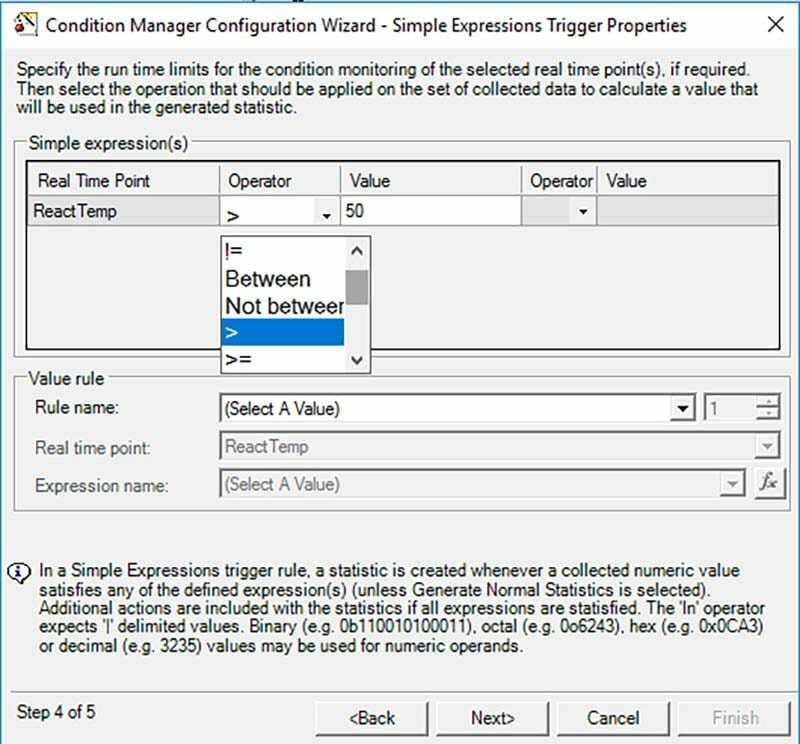 Condition Management produces conditional alerts in real-time, providing early failure detection to increase asset availability, reduce costs and avoid unnecessary maintenance and downtime, enabling a shift from reactive to a proactive and predictive model for operations and maintenance. Provides early failure detection to increase asset availability, reduce costs and avoid unnecessary downtime. Unplanned outages represent an average of 5% in lost production, where the impact is often much more significant. 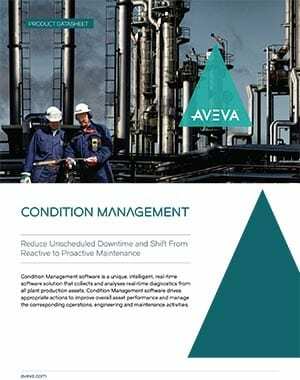 Provides operations, engineering and maintenance personnel with easy access to current asset information for better decision making. 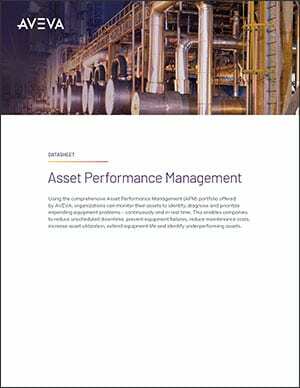 Collects and analyses data on asset conditions to help optimize asset contribution over its full life cycle. Leverages the latest Microsoft.NET technology to provide easy-to-use asset intelligence and business intelligence information.